The tickets for Juggalo Day are now available on Hatchetgear. The tickets are free (excluding processing fees). Juggalo Day is taking place on Saturday, February 21st. The event is being held at the Masonic Temple in Detroit, MI. featuring JCW action and a concert by ICP and special guests. 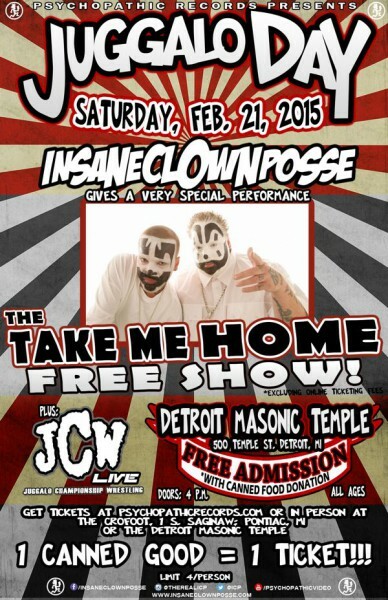 Admission for Juggalo Day is FREE with a ticket and one or more canned goods.